Summertime is officially in full swing and playing outside, relaxing on the beach and enjoying family time is on most peoples to-do list. North Eugene Family Dentist, Dr. Kirchmeier, and his team encourage patients to enjoy the summer in a myriad of ways. Here are tips to help you make the most out of summer. If you spend to much time at home relaxing you may hear your children say, “I’m bored.” It is smart to make a summer routine, which means be proactive but no need to set up a ridged schedule on a calendar. Instead have clear tasks and events planned. The routine could include getting up every morning by a specific time, eating snacks at a specific time, or be on a schedule for TV and electronics use. Some other opportunities for physical activity such as running errands, going to summer camp or concerts could be fun. A summer routine will help your family time flow and you will be consistent. There is the dreaded end of summer rush at your local drug and department store, where stocking up on school supplies is a mandatory task. But starting early can help you in many ways. Make sure you have the school supply lists for each child, then do an inventory of the leftover school supplies you might have around the house that can be reused. Once you have an idea of what your kids will need for the upcoming school year, start shopping for them in the ads in the Sunday paper each week and make the school supply shopping a part of the routine errands or shopping trips you do already. Summer is a great time to catch up with important tasks and appointments. Such as scheduling dental and doctor visits. Schedule time now for haircuts before school starts and, of course, an appointment to the dentist for a teeth cleaning and exam. 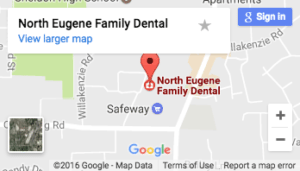 Call us, your choice for Eugene kids dentist, to schedule a block of time, and we’ll take care of the whole family in no time.